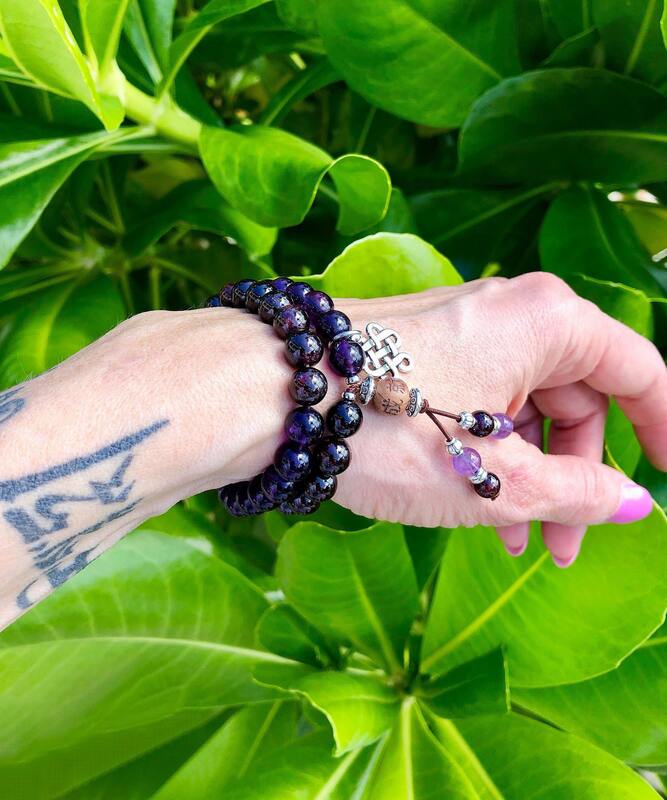 The Shakti Double Wrap Mala Bracelet features stunning AAA luxury dark purple Amethyst along with deep wine red AAA Garnet gemstones a carved cedar wood ancient prayer bead and a reversible silver tone endless knot charm to help you tap into your power and stimulate clarity, focus and strength. This bracelet gently wraps around the wrist twice offering double the healing vibrations. Shakti शक्ति is a Sanskrit word meaning ultimate feminine power, the primordial cosmic energy / dynamic force that moves through the entire Universe. 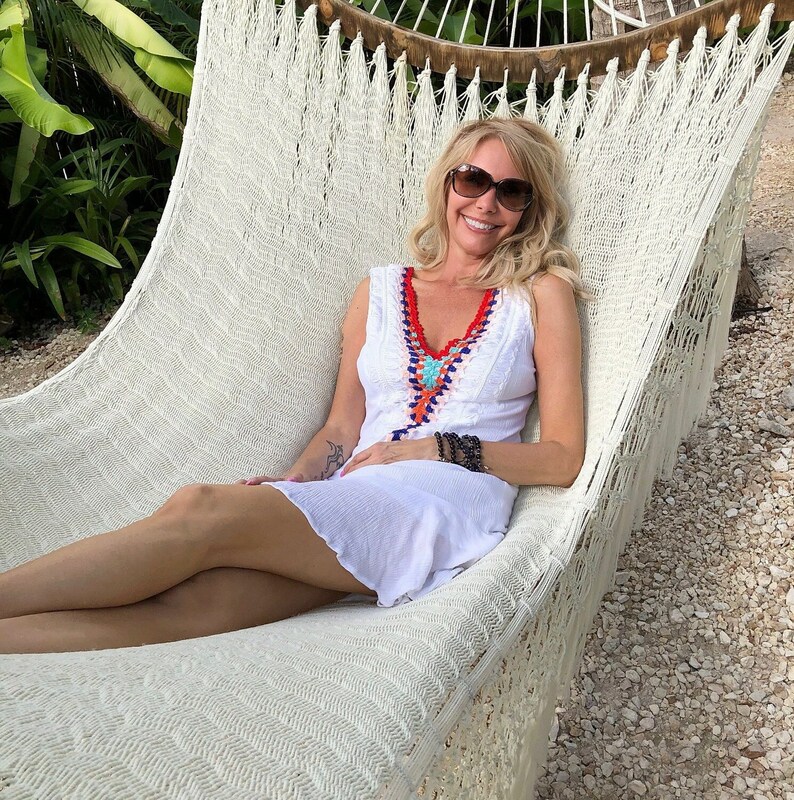 *Last hammock photo features the Ascension Mala Bracelets (single and double wrap) stacked together with the Shakti Double Mala Bracelet. Each sold separately. 8mm high grade luxury gemstones, strung on strong elastic stretch cord. One size fits most wrists. Custom sizing is available.